The Japanese American National Museum will hold its annual Oshogatsu Family Festival on Sunday, Jan. 4, 2015, from 11 a.m. to 5 p.m. The New Year’s celebration will include free crafts, performances, and other activities for people of all ages to help ring in the Year of the Sheep. Highlights of the day will include demonstrations of the ancient Asian folk art of candy sculpting, a petting zoo, and mochitsuki (rice-pounding) demonstrations. The complete schedule for follows. Visitors can make their own Daruma dolls, a popular Japanese tradition. Daruma dolls are used to help set goals for the new year. JANM volunteer Ruthie Kitagawa will show visitors how to fold an origami sheep. Yarn and construction paper will be available. Toddlers can have fun or relax with an adult who brought them in the JANM toddler room. 11:30 a.m. and 12:30 p.m.: JANM volunteer Kathryn Madara will read from “How the Years Were Named,” a story about the animals of the Asian zodiac. 12–5 p.m.: Shan Ichiyanagi will demonstrate the ancient, and now rarely practiced, Asian folk art of candy sculpting. Finished pieces will be raffled off throughout the day. 1–1:30 p.m.: Taikoza, a group that uses traditional Japanese instruments to create a contemporary sound, will present a short performance on koto and shakuhachi. 1–4 p.m.: Live sheep and goats from Jessica’s Party Animals will be featured in a petting zoo. 1–5 p.m.: Kidding Around the Kitchen will give out sample bowls of lucky zaru soba (buckwheat noodles) to bring good health in the new year. 1–5 p.m.: Hello Kitty, the subject of JANM’s “Hello! Exploring the Supercute World of Hello Kitty,” will be on hand to share hugs. 2 and 4 p.m.: Kodama Taiko will present its unique mochitsuki demonstration, which incorporates taiko drumming. 3 p.m.: UniverSoul Hip Hop, a community-based group dedicated to educating and enriching youth by bringing hip-hop dance and culture to K-12 classrooms, will perform. Admission to JANM’s ongoing “Common Ground: The Heart of Community” exhibition is free during Oshogatsu. Admission to the special exhibition “Hello! Exploring the Supercute World of Hello Kitty” is not included. All “Hello!” admissions are based on timed entry; advance purchase of tickets is strongly recommended. 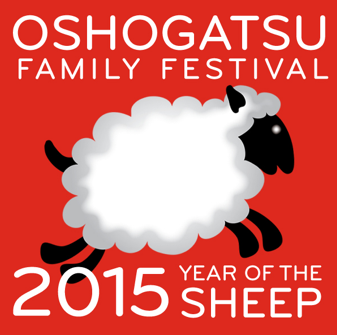 For more information, call (213) 625-0414 or visit http://janm.org/oshogatsufest2015.